The Compliance Task Force set up by retired Colonel Hameed Ali, the Comptroller-General of the Nigerian Customs Service (NCS) on Monday impounded 223 vehicles, 13 of which belong to a senator in Kano state. The Task Force Zonal Commander, Bala Dole, made this known in an interview with the News Agency of Nigeria (NAN) in Kano on Monday. 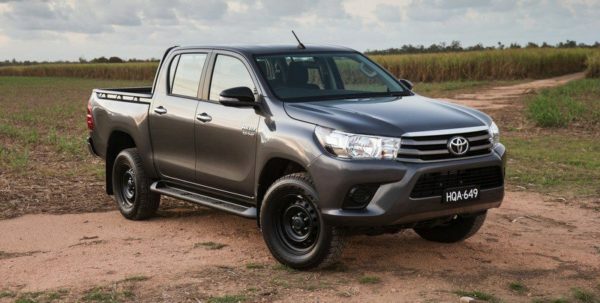 He said the vehicles, belonging to the unidentified senator were; 12 new Toyota Hilux and one Land Cruiser Jeep. The identity of the senator will remain a guessing game for now. There are three senators representing Kano State. They are Rabiu Musa Kwankwaso, Kano Central; Barau Jibrin, Kano North and Kabiru Ibrahim Gaya, Kano South. All are representing the All Progressives Congress (APC). The task force also said that it seized other items, including foodstuff worth N269.5 million in Kano and Jigawa states within eight months. The items included 9,757 bags of rice, 2,916 of foreign spaghetti, 2,770 cartons of foreign vegetable oil and 999 cartons of macaroni. He said others were; 889 veils of second hand clothes, 50 used school bags, 110 cartons of new foreign shoes, 956 bags of mosquito coil and six fairly used cars. Compliance Task Force set up by retired Colonel Hameed Ali, the Comptroller-General of the Nigerian Customs Service (NCS) on Monday impounded 223 vehicles, 13 of which belong to a senator in Kano state.